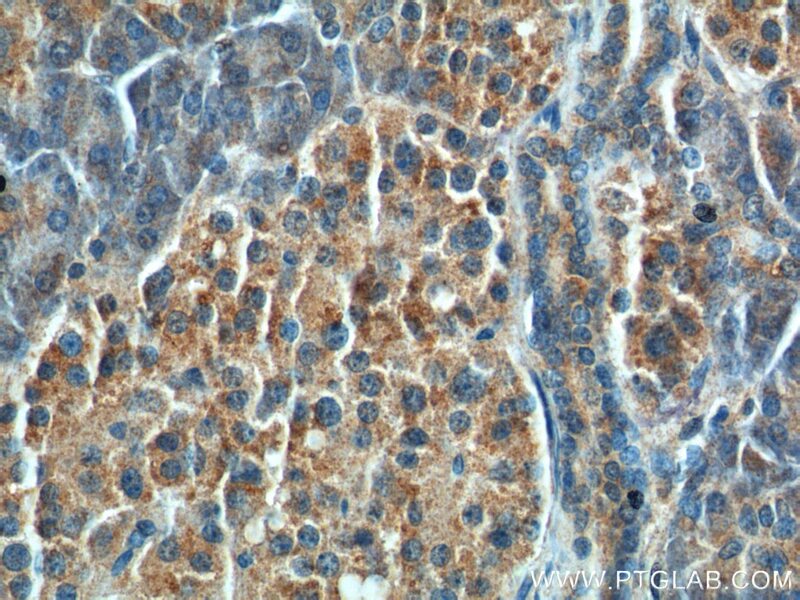 Immunohistochemical analysis of paraffin-embedded human pancreas tissue slide using 13074-2-AP( CCK Antibody) at dilution of 1:200 (under 10x lens). 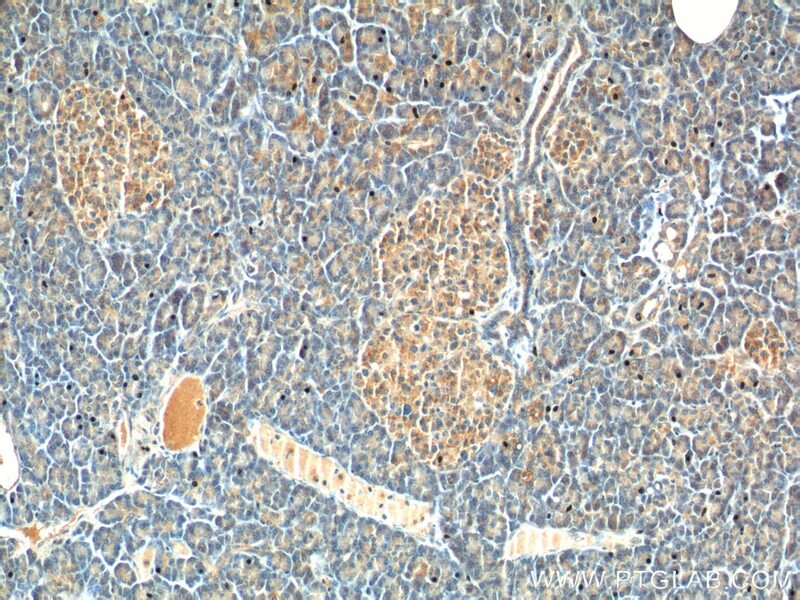 Immunohistochemical analysis of paraffin-embedded human pancreas tissue slide using 13074-2-AP( CCK Antibody) at dilution of 1:200 (under 40x lens). Cholecystokinin (CCK) is a classic gut hormone. CCK is also a complex system of peptides expressed in several molecular forms in enteroendocrine I cells, in cerebral and peripheral neurons, in cardiac myocytes and spermatozoa. The encoded preproprotein is proteolytically processed to generate multiple protein products, including the peptide hormones cholecystokinin-8, -12, -33, and others. The encoded peptides have been shown to regulate gastric acid secretion and food intake. 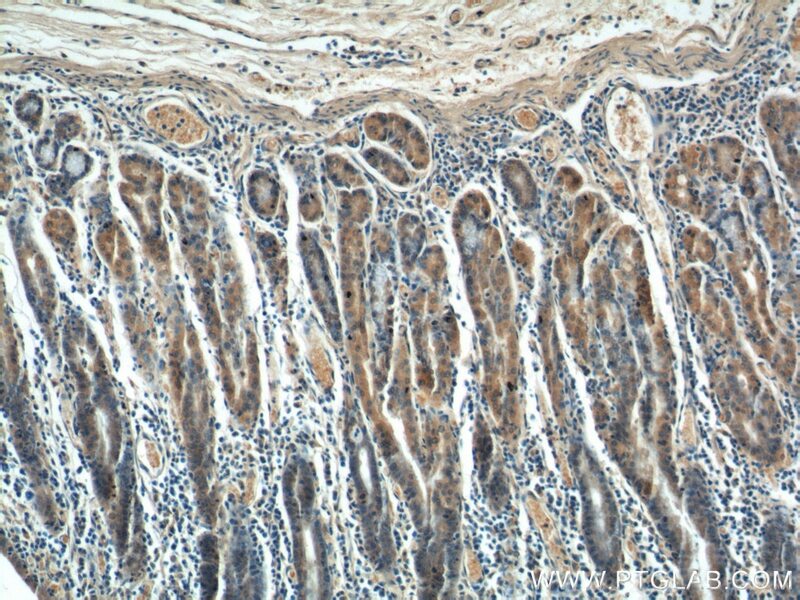 Immunohistochemical analysis of paraffin-embedded human stomach tissue slide using 13074-2-AP( CCK Antibody) at dilution of 1:200 (under 10x lens). 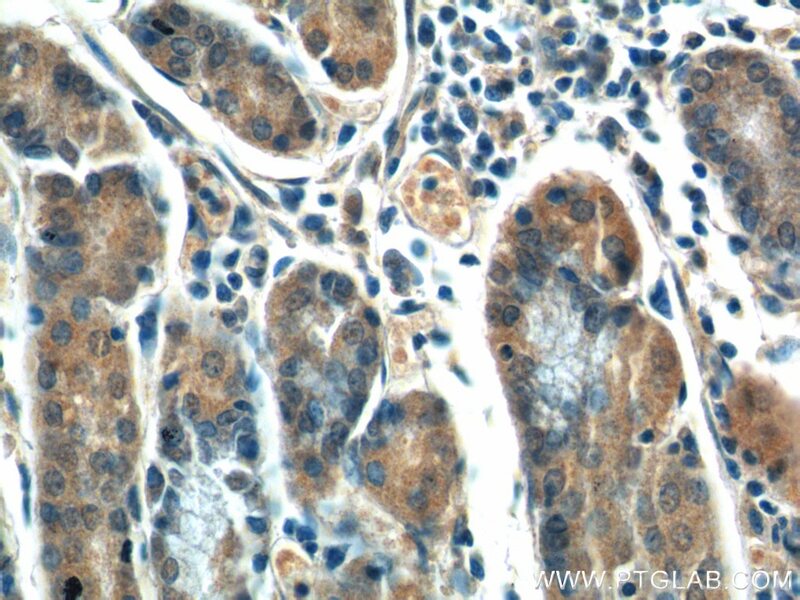 Immunohistochemical analysis of paraffin-embedded human stomach tissue slide using 13074-2-AP( CCK Antibody) at dilution of 1:200 (under 40x lens).